Head to Ledra Street Crossing Point and Kings Avenue Mallfor plenty of shopping. Panagia (Monastery) of Kykkos and Aliathon Gallery are good opportunities to explore the local culture. 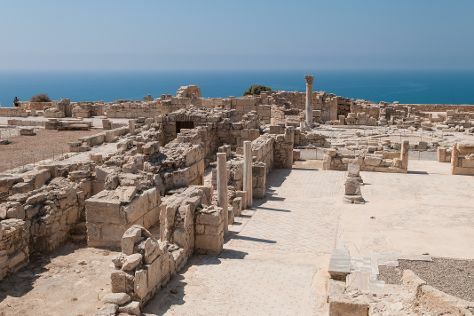 You'll find plenty of places to visit near Limassol: Coral Bay (in Peyia), Paphos (Tombs of the Kings, Neldi Art Gallery, & more) and Nissi Beach (in Ayia Napa). There's still lots to do: identify plant and animal life at Akamas Peninsula National Park, view the masterpieces at Michael Owen Art Gallery, take in the architecture and atmosphere at Church of Saint Lazarus, and get interesting insight from Tours. To see reviews, ratings, more things to do, and more tourist information, read our Limassol sightseeing website . If you are flying in from Slovakia, the closest major airports are Paphos International Airport, Larnaca International Airport and Ercan International Airport. In May in Limassol, expect temperatures between 30°C during the day and 20°C at night. Finish up your sightseeing early on the 8th (Wed) so you can travel back home.